This article will go through the basic steps involved in producing the multi-pose proof sheet illustrated below. This article is best read in conjunction with the article "Scanning orders for a particular pose." It is assumed the reader is familiar with assigning pose numbers to images. 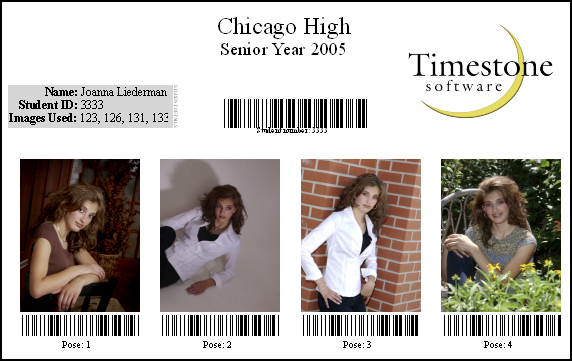 The fixed size item defines the appearance of the individual pose together with any ancillory information such as the pose/order barcode and the pose number. The critical element in the above template is the syntax for the barcode. For more information refer to article "Scanning orders for a particular pose." The item sheet background determines the position of the individual poses (the fixed size item) together with other text, data and graphics. 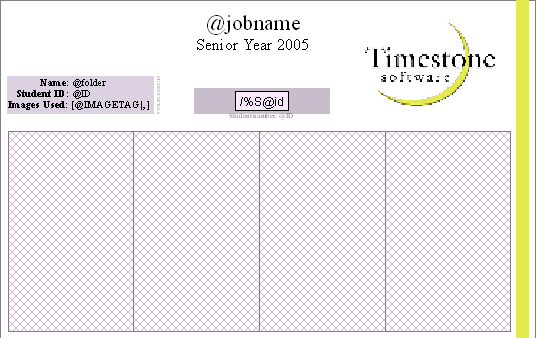 The item sheet background used in the above example is reproduced below. The key element of the item sheet background template is the grid which determines the number of images to be displayed across and down. The templates used in the example above are available for download. You may use the templates in any way you wish. The following movie tutorials may also be useful in relation to this topic. Why have all my licenses suddenly stopped working? Why is my dongle disabled?